After over 25 successful years at the forefront of the international fine art market, DeMontfort enjoys an unrivalled reputation as the country’s leading fine art publisher and distributor of original paintings, and the DeMontfort brand is widely recognised as a guarantee of quality and value. Our phenomenal list of award winning artists includes many of the biggest names on the international art scene, and our artwork enriches thousands of homes, offices, and even TV and film sets all over the world. We are extremely proud of the fact that no other publisher has such an innovative, extensive and adventurous portfolio of work. 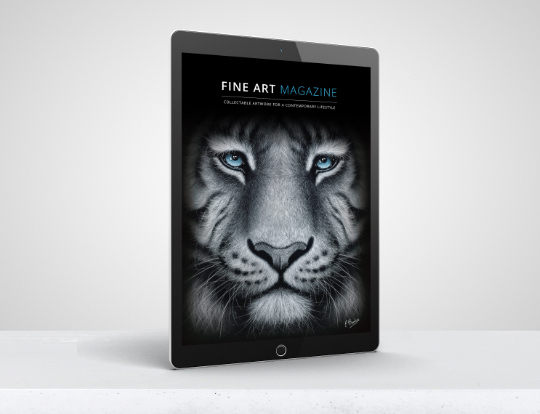 Our inspirational, high end product mix includes a wealth of original paintings, signed limited editions, sculptures and fine art books from an outstanding array of international, award winning artists – a combination of products that is unique within the UK market. Our eclectic collection covers all areas of artistic enterprise and is informed by our knowledge of current interior trends and the requirements of a constantly changing marketplace. DeMontfort has a superb track record within the industry and beyond. Since 2000 we have won many major industry awards, including Gift of the Year, Best Customer Care, Best Selling Original Print Artist, Art Business Website of the Year, Best Up and Coming Artist - many of these on several occasions. I believe the simple secret of our success is to consistently offer our clients choice, innovation, quality and unparalleled sales and after sales service. For more than 20 years we have retained our core values - passion for our product, tireless pursuit of innovation and excellence and customer satisfaction paramount – and as a consequence demand for our artwork has continued to grow.